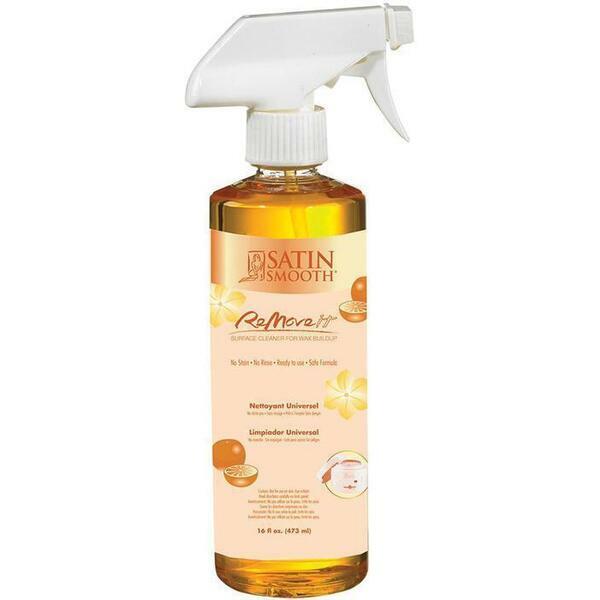 Satin Smooth ReMoveIt Surface Cleanser 16 oz. Satin Smooth ReMoveIt Surface Cleanser / 16 oz. ReMoveIt Surface Cleanser is formulated to dissolve sticky wax residue on countertops, tiles, wood floors, salon and spa furniture, linen sheets, clothing, carpet, and vinyl upholstery. Mild citrus scent. Suitable for everyday cleaning.